My sister moved to Florida last summer. Every so often she emails me pictures which I save on the computer or sometimes print out. They're not too handy to look at that way so I decided to make a place to collect them. I used the envelope mini-album demonstrated by Steph Miller on You Tube. It's definitely a work-in-progress because I have more to add and more will be coming. Jennifer Rzasa was kind enough to explain how she created a picture collage for her site (Our Change of Art) so I can save you from scrolling through 10 photos. I didn't want to display faces on the internet without their permission so I made little post-it-note cover-ups. I'm finding wonderful phrases appropriate to pictures throughout the cricut cartridges. 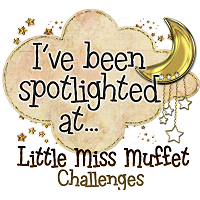 So far, I've used Phrase, 3 Birds on Parade, Graphically Speaking, Holiday Cakes and Picturesque. I had a lot of trouble getting these pictures in here today. But, here they are. 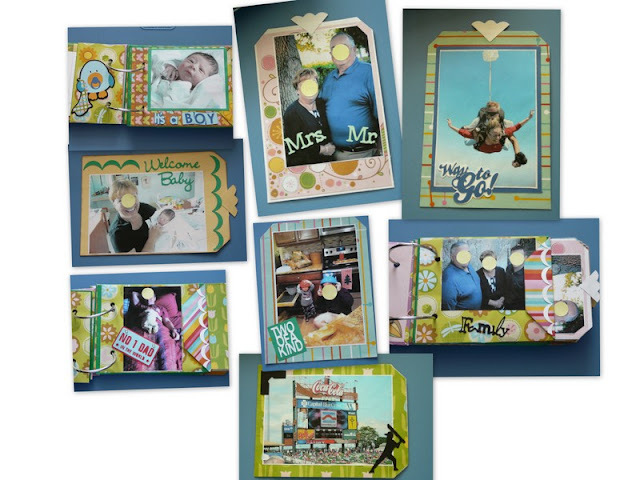 Please go to Fantabulous Cricut to see the other great organizational projects being entered in this challenge. Great mini, I like how simple it is, keeps the focus on your pictures, and the images you used are great!! Thanks for joining us at FCCB this week!! I love mini albums and yours is terrific! Your sayings are great! I have to ask, what is on the back of the girl that's sky diving?! Actually, that's the guy she's harnassed to and the chute pack that's on him. This lady turned 60 and decided to do this. She LOVED it. I love how you made a mini album to store and organize all your photos from the computer !! Thanks for joining us this week at FCCB !!! This is the video I watched. Have fun. Great albumn! Love the papers and layout. Very nice!! I, too, love it when a project just happens to meet the criteria of a challenge! Love your mini-album--bags...envelopes...doesn't matter, superb work!! 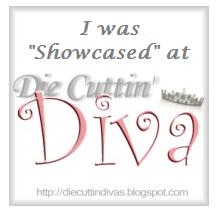 Thanks for stopping by my little blog!